In addition, the secrecy surrounding adoption will be loosened so adopted children and their biological parents will be able to get in contact more easily. Until now, only married people have been able to adopt their spouses’ children. 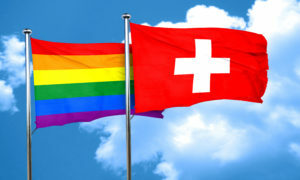 In Switzerland, homosexuals have been able to enter into a civil partnership since 2007, but gay marriage is not recognised. From 2018 however, adoption will be possible for anyone in a civil partnership or a longterm relationship. That said, a couple in a civil partnership will still be unable to adopt a child who is biologically unrelated to both parents. This means that a gay person can adopt if single, but not when in a civil partnership.